I can’t think of any other desktop DAC/amp combo that would be easier to recommend in 2018. 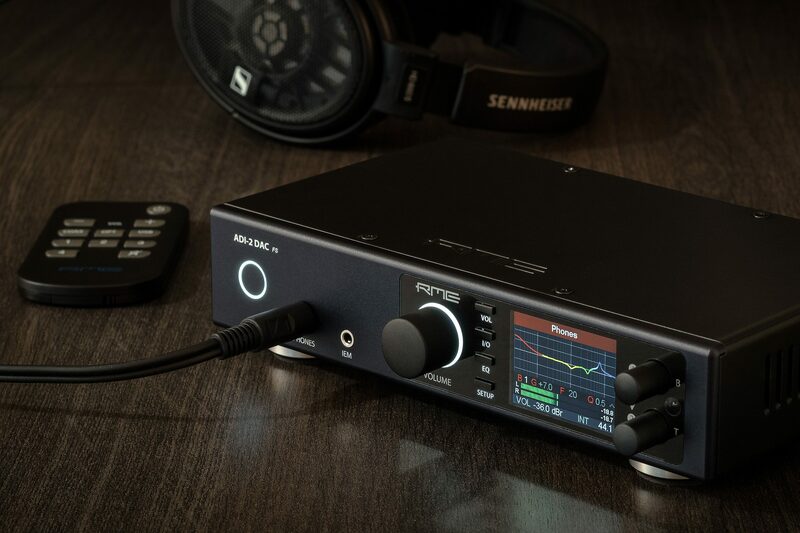 There is no magic involved in the RME ADI-2 DAC: no proprietary filters, no patented exclusive circuits, no unordinary connections and most importantly no voodoo buzz words. This is an extremely down-to-earth device that has just been given extreme thought, massive experience and great attention to detail. It’s not the supplier’s chip that makes a great device, it is how you use the tools. The ADI-2 DAC is technically marvelous, regardless of whether you want to dive into the long feature list or not. I do recommend you do, though, because the equalizer with its many save slots, the customizable loudness function, the tight crossfeed, various DA filters and many controls to test your whole audio chain just keep on giving and giving. Despite the huge amount of functions, the software is extremely stable and hasn’t failed me once. While the Phones output provides clean and linear amplification for even power hungry headphones, the new IEM output might just have reached a new reference level. Of course the device will work just as well as a standalone DAC in case you want to connect some warm tubes with the line-out. The channel-specific dual EQ or quick bass/treble adjustments can work wonders in a speaker setup. I praised the RME ADI-2 Pro before and it proved to be a massive success. At 1.599 € (or 1.999 € for the black Anniversary Edition) it challenged competitive high-end products and it seems almost unfair that we now can get the same performance for a lot less, e.g. 999 €. Friends of high-fidelity, what are you waiting for?